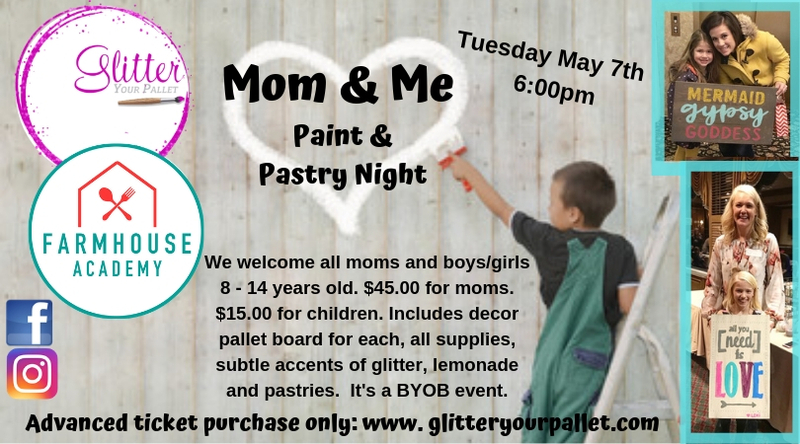 Glitter Your Pallet is a blissful therapeutic painting decor class. 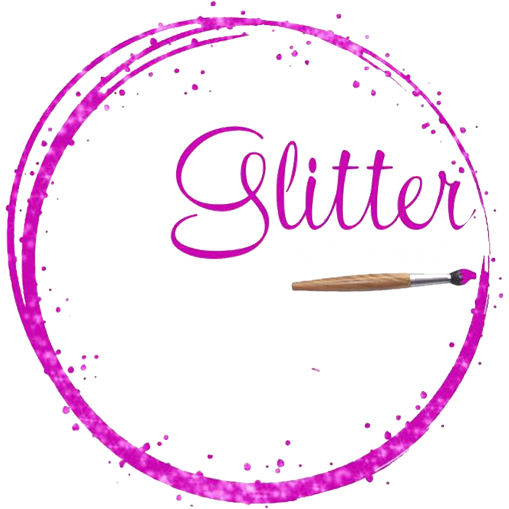 The workshops and parties we offer, allow your creative quotes to be revealed on vintage, whitewashed and colored pallet boards. 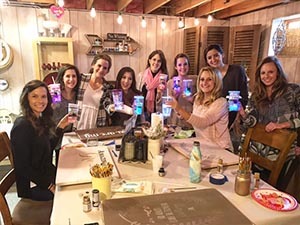 The boards are hand sanded, assembled and painted or stained prior to your party. Come add your inspiring touch to the environmentally friendly 100% recycled boards! 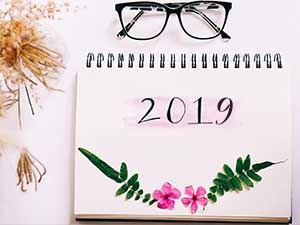 Join us and see why everyone is raving about the tremendous guidance and step by step directions our instructors offer. 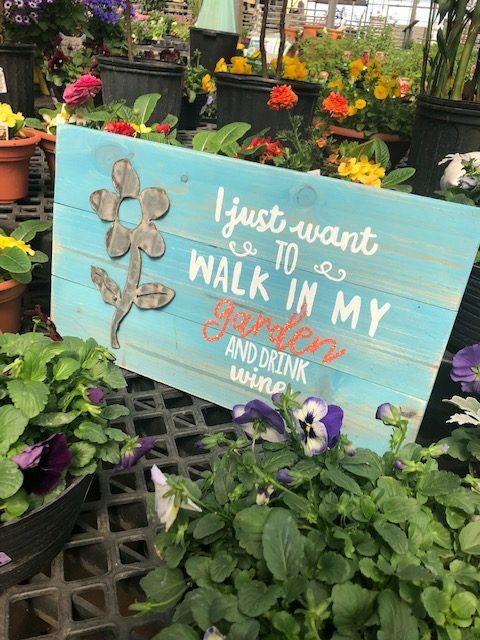 The artist behind the brush can take it at their own pace and use their imaginative side painting trendy, inspirational and personalized quotes on pallet boards. In three hours, you can construct a custom decor board for your home, cottage, front porch, office, babies room, classroom – ANY room. No art experience required! 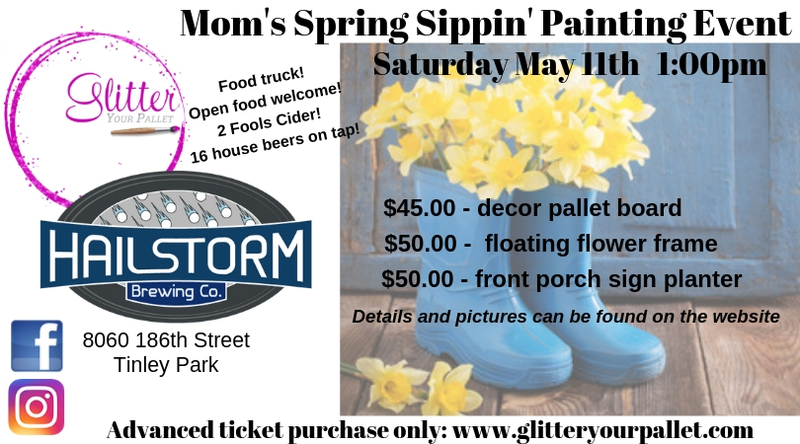 3 different projects to create while enjoying an afternoon at Hailstorm Brewing Co.
Come enjoy a sunset painting event at M&D Farms and take home your flower stand and flowers! 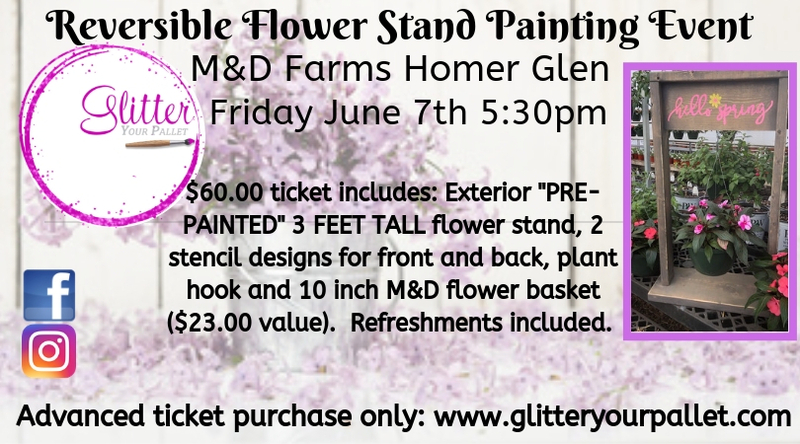 Grab your littlest BFF and paint together. Celebrate Mother’s Day early! Tuesday May 7th at 6:00pm.